I Love English 오늘은 ‘Working out’ ‘운동하는것’과 관련된 다양한 영어 표현에 대해 알아보겠습니다. A: Honey, guess what! My ten year high school reunion is coming up real soon! B: Uh oh~ you’d better get back in shape. You’ve gained a lot of weight since having our two children. A: You’re right, I haven’t taken care of myself too well. Will you watch the kids for me every night so I can at least go to the gym? B: Of course! Don’t worry about the kids, just count on me! A: I consider myself so lucky that I have a husband who is so supportive. A: 여보, 곧있으면 고등학교 10주년 기념 동창회네..
B: 오, 오~ 그럼 당신 빨리 운동 시작해야겠네. 애들 둘 낳고 나서 당신 살 많이 쪘잖아. A: 맞아. 그 동안 몸매에 신경을 못썼지. 그럼 이제부터 저녁에 운동하러 갈 수 있게 애들 좀 봐줄래요? B: 물론이지! 애들 걱정은 하지말고 나만 믿어! A: 난 당신처럼 아내를 잘 도와주는 남편을 둔 것을 참 행운이라고 생각해. How often do you work out? 얼마나 자주 운동해요? I work out almost every day. 전 거의 매일 운동해요. No wonder, you are in great shape. 어쩐지 아주 건강해 보이더라고요. I try my best to do some exercise whenever I have free time. 나는 시간이 날 때 마다 운동을 하려고 노력합니다. Coming up: ~ 이 다가 오다. 미국 텔레비전에서도, Coming up next 라는 표현이 많이 나오는데요, Coming up next 하면, 곧이어 ~이 방송됩니다, 라는 뜻입니다. Ex) 내 생일이 곧 다가와요! My birthday is coming up real soon! Put on something~ 하면 ~옷 같은 것을 입는다는 지 로션 등을 바른다는 의미도 있는데요, 살이 쪘다 할 때도 이 Put on some weight 하실 수 있다는 것 꼭 기억해 두세요! Ex) 아침식사를 매일 챙겨드세요! You’d better have breakfast every day! ‘You’d better do something’의 반대로, ‘~ 무엇 무엇 하지 마세요, ~무엇 무엇 하지 않는 편이 좋을 것 같아요’는 ‘You’d better’ 뒤에 ‘not’을 붙여서 ‘you’d better not do something’ 구문을 나타낼 수 있습니다. Ex) 아침 식사를 거르지 마세요. 아침식사는 거르지 않는 것이 좋습니다. You’d better NOT skip breakfast. [참고] ‘Go to the gym’은 ‘헬스장에 가서 운동을 하는 것’을 의미하는 반면에 ‘work out’은 굳이 헬스징에 가지 않더라고 포괄적인 의미로 ‘운동을 하다’는 뜻이 있습니다. 공원에 가서 뛰는 것도 working out 이고요, 집 안에서 윗몸일으키기나, 팔굽혀펴기하는 것도 working out 이 될 수 있죠. 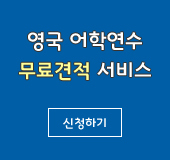 물론 헬스장이나 체육관에 가서 운동하는 것도 working out이라고 표현 할 수 있고요. 그래서Will you watch the kids for me every night so I can at least go to the gym? 이 문장은 Will you watch the kids for me every night so I can at least work out? 으로 바꿔서 표현하실 수 도 있습니다. Ex) A: do you work out at the gym? If so, what are your exercise routine like? 헬스장에 가서 운동을 하시나요? 그렇다면 주로 뭘하죠? B: I first start run on the treadmill and then lift small dumbbells. 처음에는 러닝머신에서 한 20분정도 뛰고요, 아령으로 근력운동을 합니다. A: I usually do jump-rope at the gym. 전 체육관에 가서 줄넘기를 합니다. I usually do 1,000 times a day. B: Wow, that’s awesome! So that’s your secret of staying in great shape, not to mention thin and toned! 그게 바로 날씬하고 건강한 몸매를 유지하는 비결이었군요! Ex) Don’t worry about English, just count on ‘I Love English’ : 영어 걱정하지 마시고요, 저희 ‘I Love English’만 믿어보세요! I consider myself so lucky that I have a husband who is so supportive: 나는 당신 같이 아내를 잘 도와주는 남편을 둔 것을 참 행운이라고 생각해. Ex) I consider myself so lucky that I have a wonderful colleague like you! : 나는 당신과 같이 훌륭한 동료를 둬서 참 행운이라고 생각합니다. Hit the Gym 무슨 뜻일까요? To hit the gym means to go to the gym or get on the way to the gym. Hit the gym 하면요, 헬스장에 가다, 운동하러 가다는 의미가 있습니다. 본문에 go to the gym과 같은 의미죠! Hit something은 ~ go somewhere의 의미가 있는데요, 예를 들어 hit the road 는 ‘get on the road to go somewhere’ ‘~어디어디에 가기 위해 길을 나서다’는 뜻이 있고요, ‘hit the bed’는 ‘go to sleep’의 의미로 ‘잠자리에 들다’는 의미가 있습니다. ‘When do you want to go to the gym?’ 해도 되지만, ‘hit the gym’을 이용해 ‘when do you want to hit the gym?’ 할 수도 있습니다. 운동하러가다, Go to the gym, Hit the Gym 꼭 기억해 두세요!! !